A properly constructed training program can vastly improve your fitness and cycling performance. At Elbows Akimbo we provide fully personalised training programs specifically tailored to your individual physiology, training goals and circumstances. In addition our coaching practices are guided by the latest peer-reviewed scientific research, state-of-the-art analysis protocols and extensive industry experience. At Elbows Akimbo our physiology testing goes beyond anaerobic threshold tests and derivative measures of it such as functional threshold power (FTP). While threshold measures provide valuable information, and indeed we also measure these metrics, they do not provide a complete picture of the underlying physiology of the athlete and the factors driving performance. Instead, we use a variety of analysis and testing protocols to measure the same metrics used by National Sports Institutes and ProTour Teams, such as aerobic capacity (VO2max ), glycolytic power (VLamax), lactate accumulation and recovery, fat and carbohydrate combustion, and energetic contribution. This data allows us to understand the energy systems driving performance outcomes, how these systems can be trained to improve performance, and more importantly, better predict the outcome of training programs. The Elbows Akimbo coaching service starts with thorough on-boarding process. This includes an Exercise & Sports Science Australia (ESSA) guided medical screen, followed by a detailed rider interview. During the interview we document information about your training goals, history, likes and dislike as well as training constraints. This provides us with critical information to ensure that we develop a training program that meets your individual needs situation. In addition, depending on your coaching plan, we will also conduct a thorough musculoskeletal screen and calculate your body composition. Once the on-boaring process is complete we will then develop a comprehensive periodised training program to ensure that you reach your peak condition at the appropriate time. This will include at least 1 macrocycle (typically 12-18 weeks), complete with base, competition, regenerative and transitional training phases as well as physiological testing cycles. Daily training units will be delivered in microcycle blocks (typically 7 days) to allow for a review of the training data before proceeding to the next training phase. In addition, your daily training will be constantly monitored and adjusted accordingly should the need arise. All of our coaching programs are delivered by Elbows Akimbo owner, Anthony Mezzini. Anthony is a Certified Road & Track Skills Cycling Coach (CA), Level 1 Certified Strength and Condition Coach (ASCA), Level 3 Certified Bike Fitter (IBFI) and Clinical Exercise Physiology honours program student (UNISA). 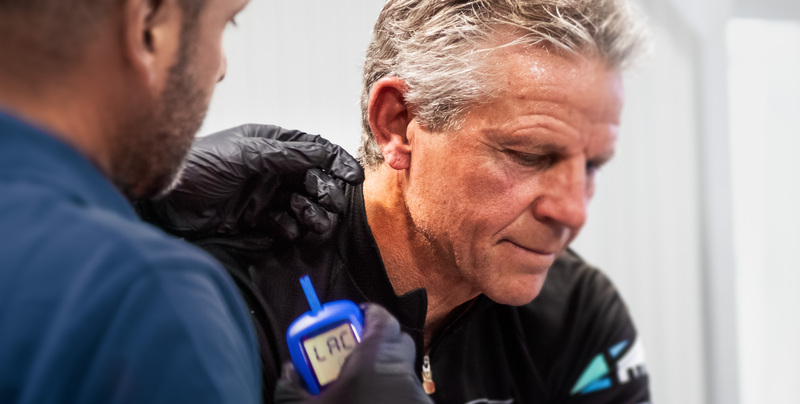 He is an active participant in the international cycling scientific community, frequently attending conferences, symposiums and other educational programs and has many years of experience working with athletes off all levels. We deliver our training plans using the TrainingPeaks platform. The Basic Athlete Edition is free and will suffice. In terms of equipment, at minimum you will need a heart rate monitor. A power meter is preferred but not essential. Most importantly thought, you’ll need a strong work ethic. Performance improvements are highly related to training continuity and compliance and therefore adherence to the program is paramount.